Ground Therapy, or grounding for short, is an important self-healing application with special benefits for the disability community. Grounding connects you to the natural electric charge of the planet. It stabilizes your physiology at the deepest level, draining inflammation, stress, and pain from your body, and promoting better health. You can ground yourself by using grounding mats and patches while sitting or sleeping, and, if possible, by being barefoot outdoors on natural conductive surfaces, like grass, soil, gravel, stone, and sand. Elimination or reduction of chronic inflammation, a cause or aggravating factor of chronic and aging-related diseases, including cardiovascular diseases, autoimmune disorders, diabetes and cancer. Elimination or reduction of chronic pain. Most pains result from inflammation. More energy—like recharging a weak battery. More calmness and decreased stress in the body through a normalizing effect on the autonomic nervous system and the stress hormone cortisol. Accelerated healing from trauma and injuries. Jason, 47, is a quadriplegic who suffered a severed cervical spine in a 1990 car crash (the doctors said completely severed at C3/4). In September of 2017, he began grounding day and night. In December he reported that both his systemic pain and severe nocturnal leg spasms had lessened by almost 90 percent. Always prone to coldness, he says he now enjoys systemic warmth. His skin has become pink, indicative of improved circulation. The chronic inflammation visible on his body, legs, and arms are gone. Jason says his doctor is amazed. "The more you ground the better," he says. "Good at 8 hours, better at 18. I'm pretty close to 24 hour every day. It's helping me phenomenally. My energy is off the charts. My strength and clarity are way up. My hair is thicker. 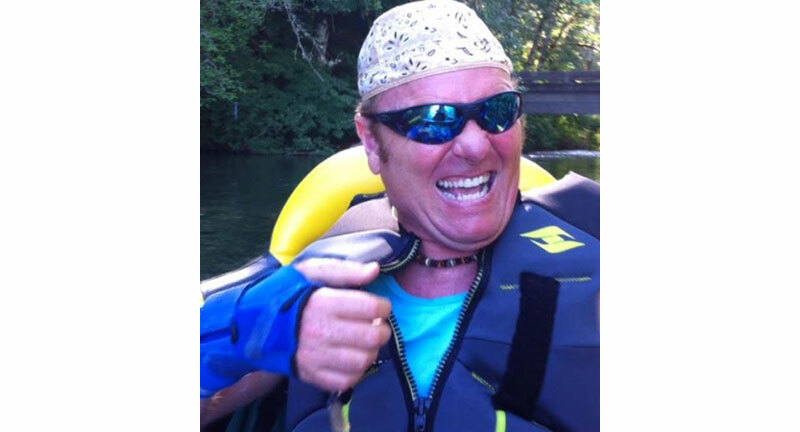 My wife and caregiver say I am more confident and can cuss even more." Watch a short video of Jason's amazing grounding story. click here. David, 81, suffered what doctors believed to be a completely severed spinal column (one inch below his first lumbar vertebra) in 1987 when a wall fell on him at a construction site. He became a paraplegic, with "a dead lower body," as he puts it. Since he started sleeping grounded in 2013, he has experienced progressive improvement in bowel function, increased mobility in the hips and, in one leg, a greater ability to cause muscle contractions down to the knee. "My bowels are working so much better compared to the past," he says. "My wife, who assists me, and I, marvel at the improvement. I am very grateful." "For me, this is a God-send," he says. Julienne, now 57, became paralyzed from the waist down in 1996 from a rare disease called transverse myelitis. 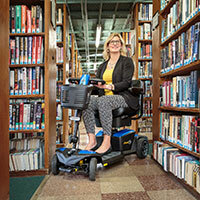 "I have used a wheelchair most of the time since," she says. "I haven't been able to move or feel my feet and legs very well. I have taken medication to control leg spasms, neuropathy, swelling and pain. I was able to use a walker and do a bit of walking, but several years ago I fell, broke a leg, and required surgery. Recurrent infections plagued me since then. It has been hard to sleep with all this going on. "In 2015, I received a grounding mat as a gift. After one night sleeping with my feet directly on the mat, I awoke to find non-swollen feet! It seemed like a miracle, because exercise, compression stockings and diuretics all failed to curb the swelling. "My sleep became less interrupted. I added another mat beneath my desk, and my leg cramps and spasms lessened. I have been able to cut back on anti-spasm medication and on diuretics. "In my able-bodied days I walked or ran on the bare Earth or on grass and felt connected to the energy of the Earth. It made me feel peaceful and centered. I am grateful to have that centering experience back." At age 24, Melanie Monteith was diagnosed with multiple sclerosis. She had bouts of fatigue, numbness and tingling, shock-like waves in her spine, diminished feeling in both arms, and issues with balance. She developed jumpy eye movements likely caused by inflammation of the optic nerve, a common MS symptom. Simple daily tasks, even brushing her teeth or washing her hair, had become challenging. She often braced herself against a wall, fearing a fall. Over the next 14 years, her condition deteriorated, forcing her to quit her job in sales. She needed a cane, walking sticks and a walker. Every day was a test of survival. She concluded she couldn't have children. How would she keep up? In the fall of 2017, Melanie, who lives near San Diego, heard about grounding through a friend. Although skeptical, she gave it a try. She was feeling awful, physically and emotionally, when she sat down in a grounded chair. "My mood changed in 45 minutes," she recalls. "The frustration was gone, replaced by calmness. I hadn't felt that way for a very long time. I got out of that chair with a smile on my face. My legs felt tingly. I felt hopeful and alive." In the months since that time, Melanie's hopes turned into realities as a result of grounding day and night using a conductive sleep mat and patches. "I am getting better all the time," she says. "My balance is better. I don't need to brace myself against the walls." "I am more stable when I stand and walk. I use the walker less and less." "I sleep much deeper. I have more energy." "Before I made about four trips to the bathroom at night. After about a week, I was making only one trip." "My 'jumpy eyes,' for which there is no medication, is gone completely." Grounding has changed her life. "I no longer worry about trying to survive the day," she says. "I'm excited about living my day and about tomorrow because I know there will be more improvements. I want to shout this from the rooftops: Everybody with MS needs to be grounded!!!" Throughout most of history, humans lived routinely grounded. But no longer. Lifestyle changes, including wearing synthetic soled shoes, have increasingly disconnected us from the Earth's ground energy. And obviously, the conditions affecting disabled individuals may also contribute to separation. This disconnect is overlooked as a factor in the alarming global rise of chronic pain, inflammation, stress and degenerative diseases. Ground Therapy is about reconnecting with the Earth to help repair and rejuvenate the body. To learn more, visit www.earthinginstitute.net You can also watch "Down to Earth," a 15-minute video preview of an upcoming full-length documentary about Ground Therapy. 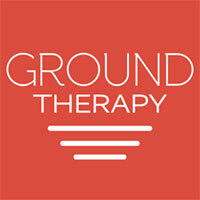 Ground Therapy products are available at www.groundtherapycenter.com. The Earth itself appears to be the original painkiller, anti-inflammatory and antioxidant. This remarkable natural resource is very much needed. By everyone. Whether you have a disability or not. 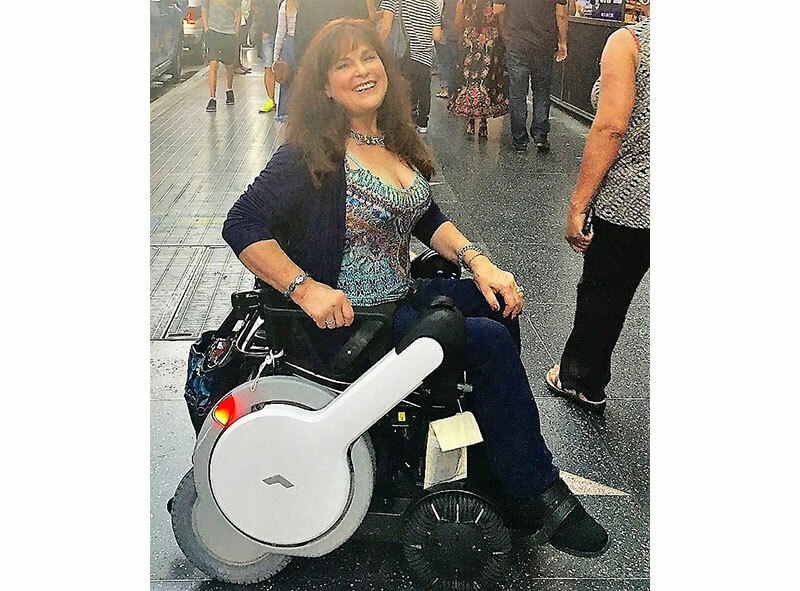 At the Los Angeles Abilities Expo, the new grounding workshop will feature a first-ever opportunity for 40 attendees to be connected to the Earth (grounded) for the duration of the session. Martin Zucker has written extensively on alternative medicine for 40 years and has co-authored or ghostwritten a dozen books, including Earthing (Basic Health Publications, 2014), Reverse Heart Disease Now (John Wiley & Sons, 2006), Natural Hormone Balance for Women (Pocket Books, 2002), and The Miracle of MSM (Berkley, 1999). He is a former Associated Press newsman in Europe and the Middle East.